Your order and personalization will be printed exactly as it is submitted. Screen color and clarity do not reflect the actual color and quality of the printed items. Add a personal touch to your stationery, crafts, books and more! Personalization will appear exactly as entered and is upper/lower case specific. 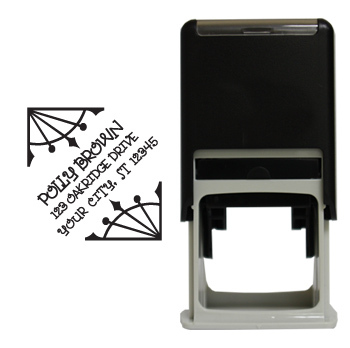 This stamp includes a black ink cartridge that produces thousands of impressions. Stamp imprint size approximately 1 3/4" x 1 3/4"